Linx Vapor has done it again with the Ares Honey Straw. 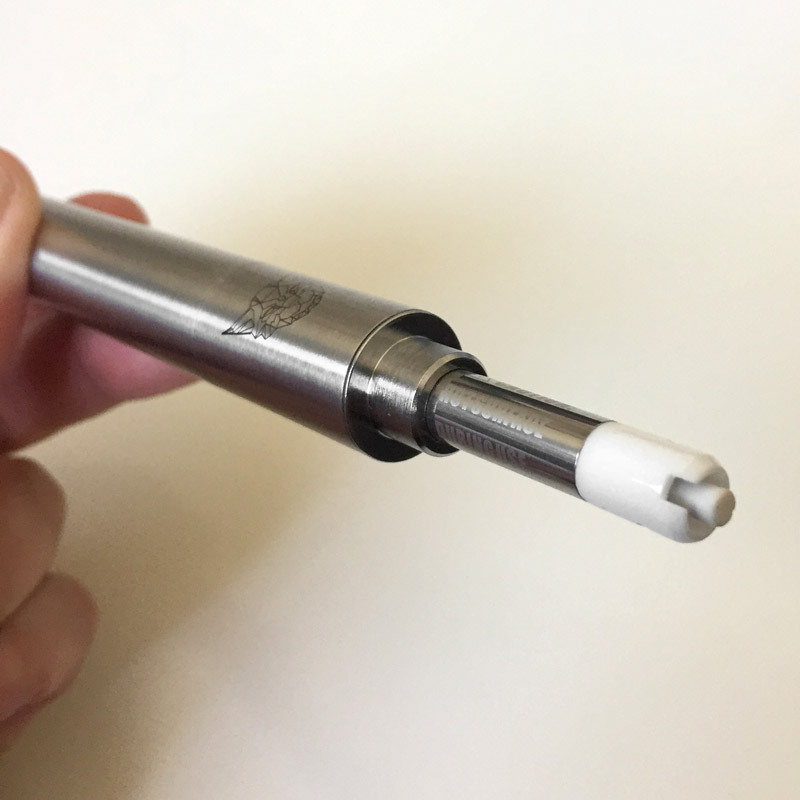 This innovative product is a portable, discreet dab straw, designed to vape all your waxes and cannabis concentrates. Instead of loading wax into an atomizer as with most vapes, with the Ares, you dip the straw-like vape into your wax concentrate. Unlike most cannabis extract vape pens that require both a loading chamber and heating coils, the Linx Ares is unique in that it requires neither. There is no loading chamber, there are no coils. The tip of the Ares vaporizer is fitted with a ceramic rod atomizer which heats up lightning fast and produces nice and clean, flavorful vapor. 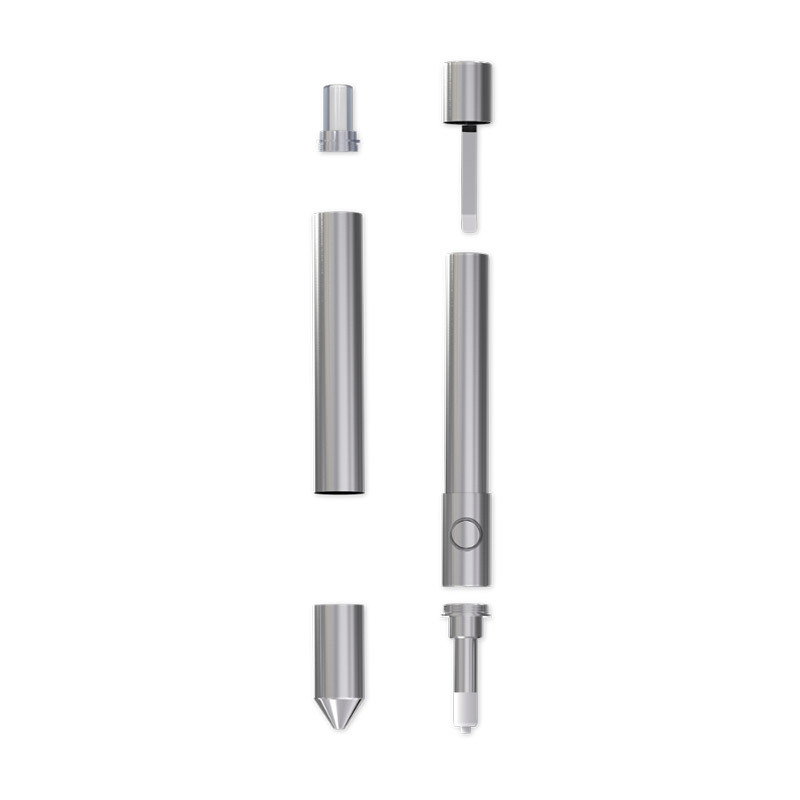 The vape is used by simply dipping the tip directly into your cannabis concentrate or extract. 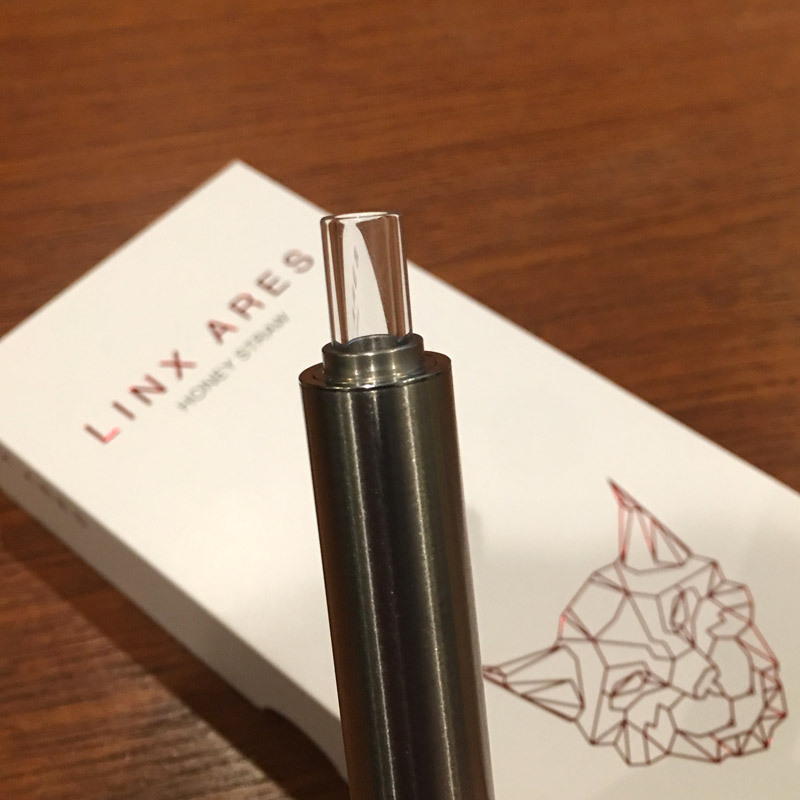 The shell of the Linx Ares vaporizer is made of medical grade stainless steel. 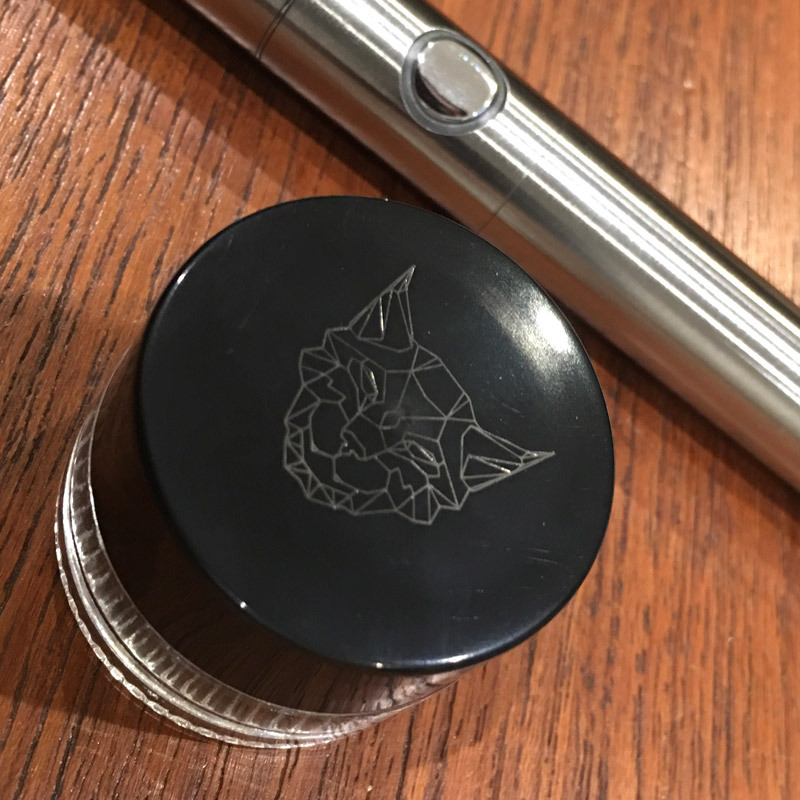 Two magnetic end caps cover the glass mouthpiece (interchangeable with the Linx Hypnos Zero vape) and ceramic rod to disguise the vaporizer as an actual pen. The vape is fitted with one button to power the battery on/off as well to adjust the temperature to the high or low setting. An LED light around the button indicates the selected temperature. The Linx Ares can be completely disassembled, making it easy to clean. A clean vape is a happy vape! As soon we got our hands on the Linx Ares Honey Straw, we instantly recognized their beautiful packaging. 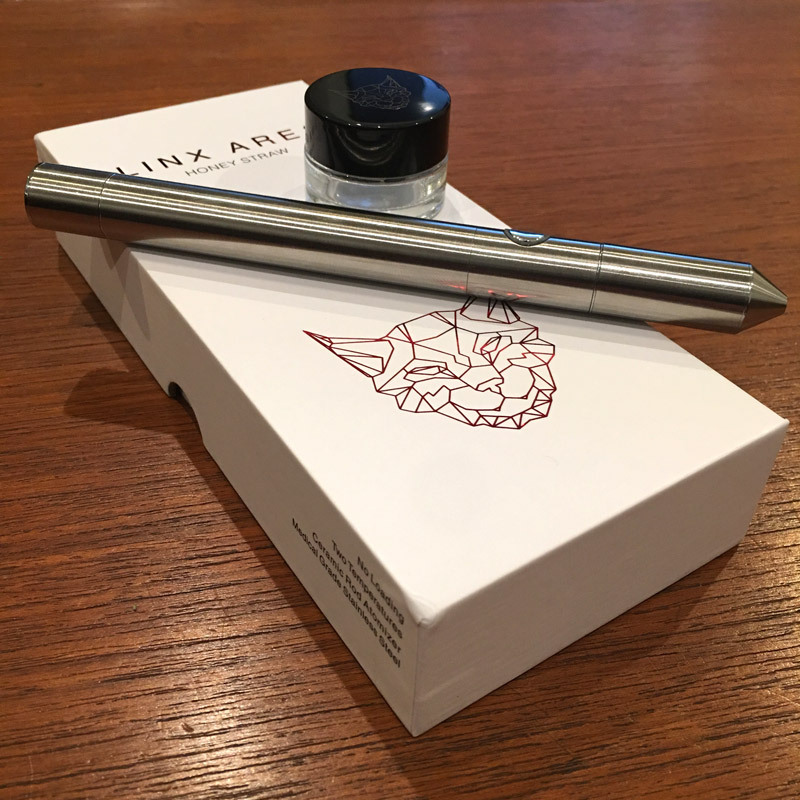 We previously reviewed their highly rated Linx Hypnos Zero vape which was pleasing all the way through from its brilliant presentation to quality materials and performance. Before even opening the box, we couldn’t help but assume its quality. 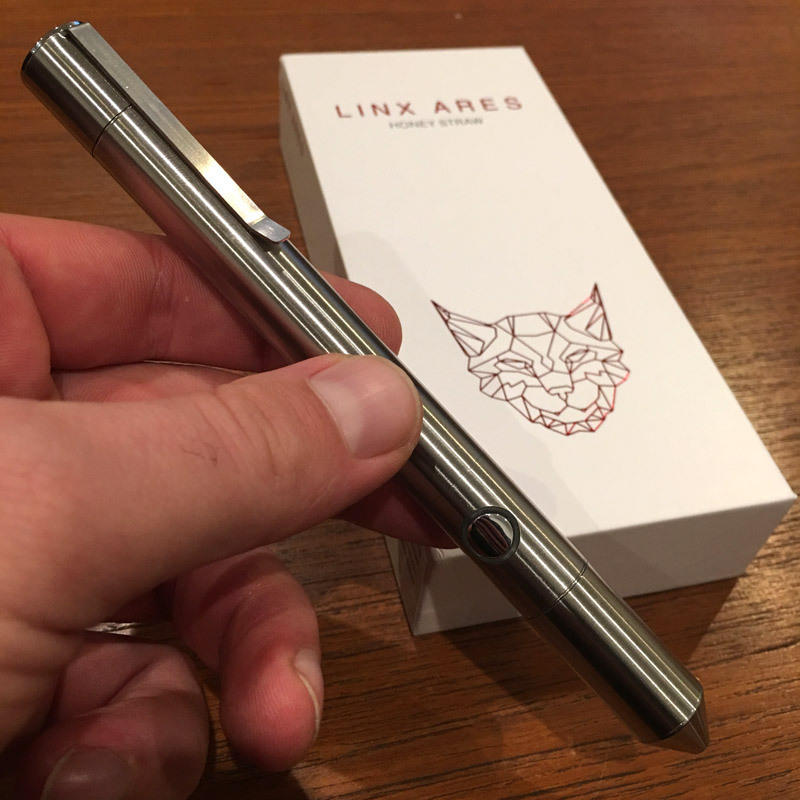 We really enjoyed the Linx Ares. It was nice to be able to switch between the two temperature settings – mellow hits to keep a light buzz during the day or larger hits at night to unwind. As a word of caution, be careful not to mix up the two ends of the device! Don’t mix up the mouthpiece end of the Ares with the heating element tip. During the review, one of our reviewers almost burned their lip while accidentally using the device backwards (oops – a little too many “test runs” we suppose). But hey, who hasn’t seen someone accidentally light up a cigarette at the wrong end… it happens! It seems obvious which end is which as long as you’re paying attention, but this isn’t your typical vaporizer so just be careful! Although an amazing vape, one of the downsides that we found with consistently using the Ares for a few weeks, is that it required us to carry around a glass jar for every vape session. Since many concentrates and extracts are served in wax paper or plastic cases, they can’t be exposed to direct heat. 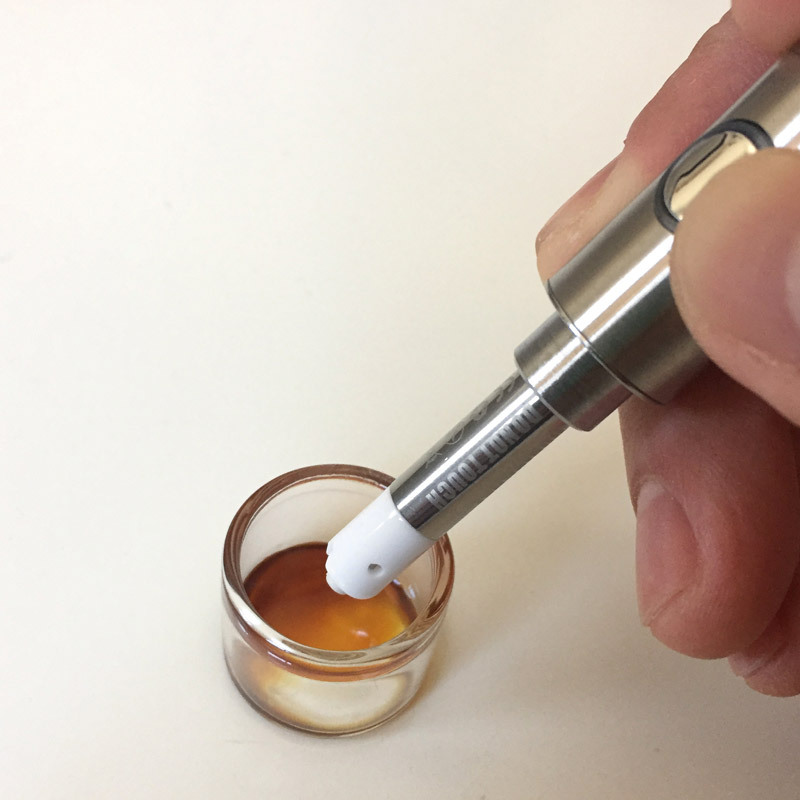 So this means you will always have to transfer your concentrates and extract products into a glass or metal container, or have a heat-resistant surface handy. This limited us to mostly using the Ares at home. One thing we did appreciate about the Linx Ares is how it simply strips down to its few components. Because the vape pen can be completely disassembled and because there’s no loading chamber, this is one of the easiest nectar collector vapes to keep clean. The battery life was also excellent and it charges very quickly. This is one of the simplest vape pens to use. 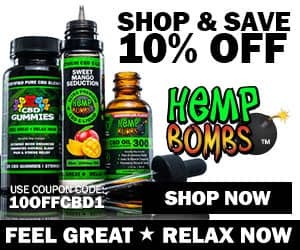 All you have to do is turn it on by clicking the power button five times rapidly, then hold the power button as you dip the ceramic rod atomizer tip into your favorite concentrate (works great with wax, shatter, crumble, etc.) and take a pull through the mouthpiece similar to sipping from a straw. 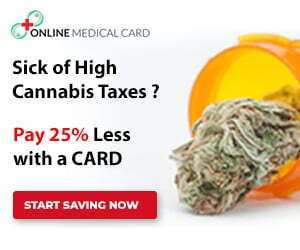 Hold the power button for the duration of your inhale for a perfectly controlled dose. The ceramic rod will heat up the wax quickly as you inhale and will then cutoff as you release the power button. Switch between the high or low temperature settings by rapidly clicking the power button three times. The Linx Ares Honey Straw is a refreshingly satisfying way to take dabs. It’s basically a sophisticated, electronic nectar collector which would normally require a blow torch to heat up. We’ll take this electronic honey straw any day. The Ares is so easy to use, allows you to take precise doses and will add an interesting spin to your dabbing experience. This vape pen was fun to try and worth adding to your collection! 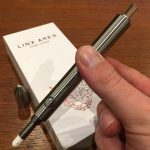 You can purchase the Linx Ares directly through the Linx website for $109.95.